Yesterday, Elon Musk surprised a lot of people when he announced that Tesla (TSLA) has made an offer to acquire SolarCity (SCTY). The entrepreneur is the largest individual shareholder of both companies – he owns about 21% of Tesla and 22% of SolarCity. Some Tesla shareholders are already calling the deal a “bailout” of SolarCity, especially after Musk bought another $10 million worth of shares last year – before the stock fell 60% in 2016. The deal would allow him to convert his shares of SolarCity to Tesla shares at a favorable rate, but we now learn that the move might not be reactionary and actually long in the making. While not directly related to the Tesla – SolarCity deal, it shows that Musk has been thinking about consolidating his companies for a while. Here he is talking more about what Larry Page did with Google, which is now part of Alphabet – a holding company with Google and other divisions operating as separate companies. Since making the comment, Musk has been publicly talking about how he doesn’t want to bring SpaceX to the public market until the company is making regular trips to Mars, but he also said that the company will be seeking new ways to generate money to finance the trips. While SpaceX is generating significant revenue through its commercial and government rocket launches, the company also indicated that it is looking at alternatives, like its own satellite constellation for communications. On the other hand, the deal for Tesla to buy SolarCity is being presented as a way to more easily integrate the products, especially Tesla’s Powerwall and Powerpack with SolarCity’s solar installations and the overall distribution network. 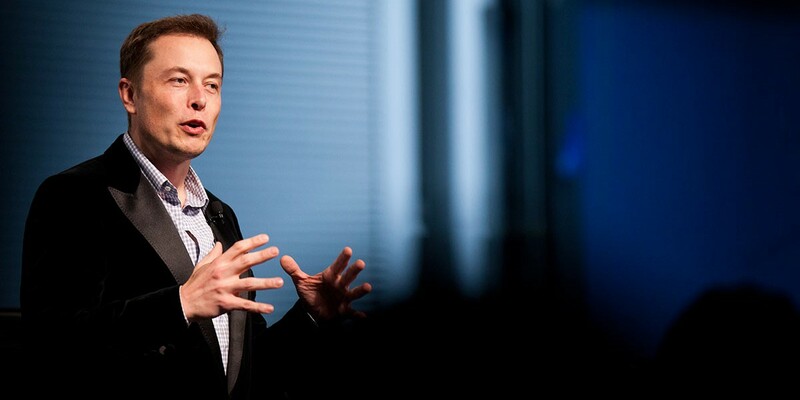 Based on what has been released so far, it is not a way to move capital between the companies, but Musk did say that Tesla could offer a bridge loan to SolarCity if needed. The two companies also shared technology in the past and SpaceX bought over $250 million of solar bonds from SolarCity. While SpaceX’s business is a lot more different from Tesla’s business than SolarCity’s is from Tesla’s, when we consider the several instances of collaboration and synergy between Musk’s companies, it wouldn’t be too surprising to see a situation like he described in 2012 become a reality. The offer on SolarCity is contingent on a vote from the shareholders and Musk will abstain from voting his shares due to his vested interest in the deal. Depending on how smoothly it proceeds, Musk could evaluate doing something similar with SpaceX.